Once a runner has a completed a few 5Ks, it's natural to feel the itch to try something a bit more demanding. 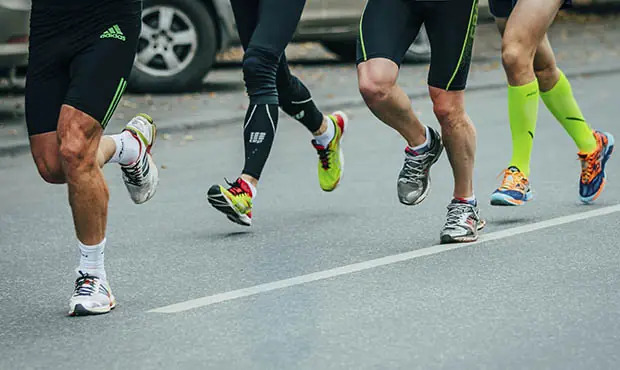 A natural progression from 5K races, the 10K doesn't command excessive training time, but it offers enough of a challenge to keep those competitive juices flowing. If you're looking to make the jump from 5Ks to 10Ks, here are some of the most common training mistakes new runners make, and how you can avoid them. Most relatively healthy individuals can complete a 5K race with minimal training time. 10K races, on the other hand, take a little more preparation to ensure that the event is completed without injury. According to running coach Art Ives, runners need to understand the importance of incorporating a progression of mileage into their 10K training programs. This progression takes place by slowly incorporating long runs—completed at a slower pace than you would usually—into the routine. "The slower and longer runs, if completed consistently, provide something very essential," Ives says. "It's very important to get your [body] used to the impact from running. The strength in the tissues gained from lower-intensity running is really key." According to Ives, it is common for runners who are new to 10Ks to not build up enough mileage. "It's easy to get your cardio ahead of your structure," he warns. "No matter how good your form is, your strength is still important. A runner should be able to complete a long run of 8 to 12 miles each week before taking on a 10K," he advises. Runners should increase mileage by up to 10 percent each week until they can run this distance consistently. "This will give a runner the strength and endurance needed to support the 10K distance, and will give a runner staying power," Ives says. Believe it or not, it's possible to "overtrain" for a 10K-distance race. According to Ives, this usually occurs when runners attempt to train too hard, too fast. "Trying to add too much interval training or running tempo runs too fast are common mistakes," Ives cautions. "A runner who does this will essentially break down the body or get injured." According to Ives, runners should be aware of the possibility of overtraining before it's too late. "You might overtrain and not even realize it for four to six weeks," he warns. To avoid making overtraining mistakes, it's important for runners to vary the frequency and intensity of training runs appropriately.